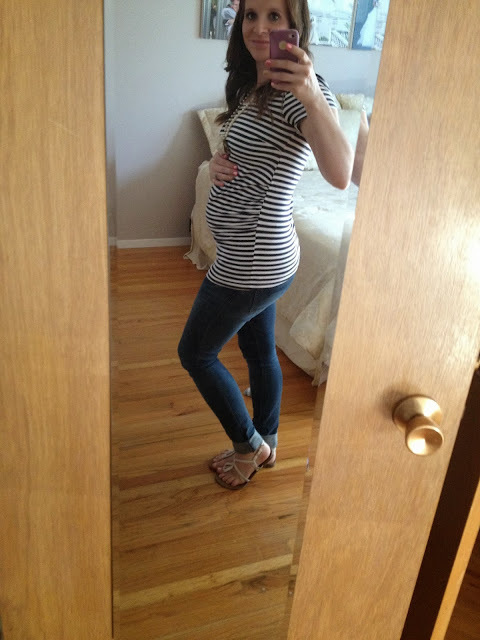 -I'm starting to fit into some of my maternity tops that previously had too much fabric in the tummy. -I had my first pregnancy Charley Horse. Not fun. 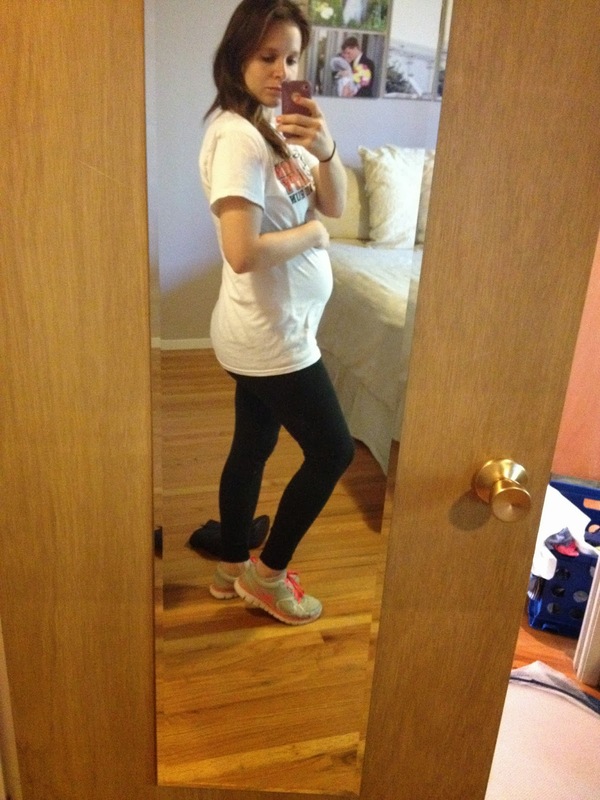 -We are starting to see the baby moving from the outside a lot. Very fun. -We have not decided on a name. It probably will stay that way until little man makes his big debut. While T suggested "Jack" a few weeks after we found out Jack was a boy we didn't officially settle on the name until we actually had him in our arms...and I actually sort of liked it that way. I don't want to commit to a name and then feel like I have to stick with it just because I've announced it. So even if we DO come to an agreement on a name [we haven't yet] there will probably be nothing set in stone [and no name announcement] until we meet the little guy. 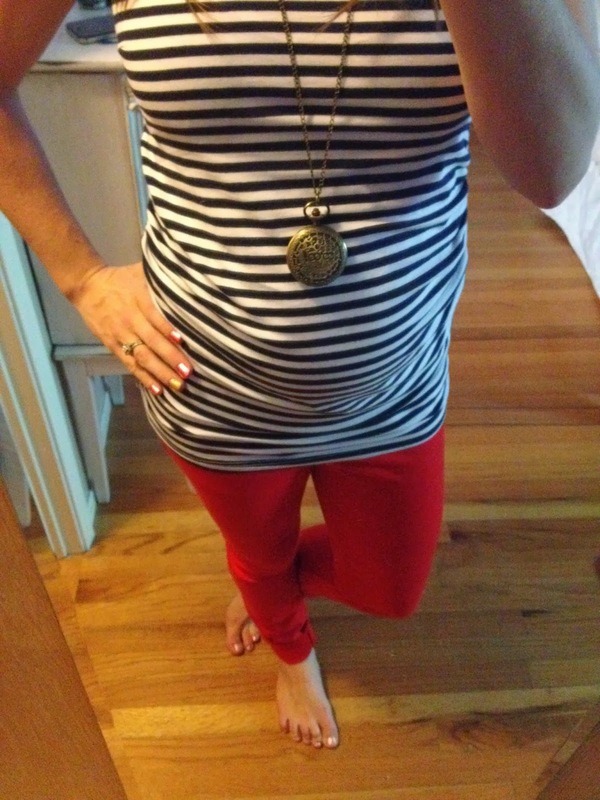 -Three strangers talked to me about my pregnancy...all in the same day. This is the surefire way of knowing you are showing enough that people are not afraid you might just be a little chunky. -I'm trying to maintain a regular exercise routine. Jack & I go walking 5 days a week, anywhere from 1-5 miles. Usually it's closer to 5. On days that we walk closer to one mile (usually this is when we walk to a nearby park) I hop on the stationary bike during Jack's afternoon nap and ride for 30 minutes. I aim to burn 300-400 calories every day. On good workout days I burn closer to 500. -Now that the weather is nicer [meaning COOLER, yay! 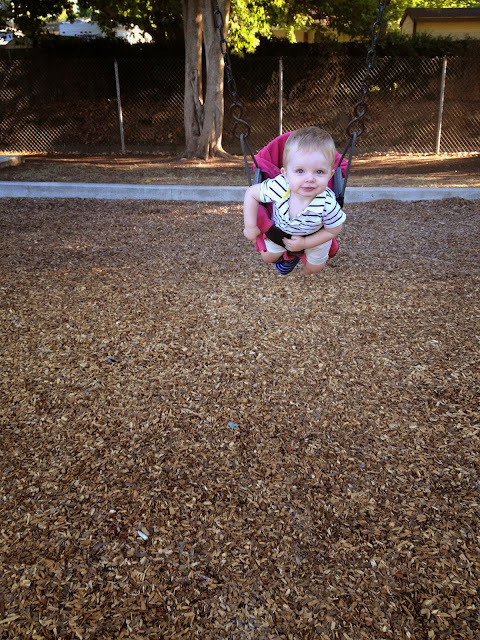 ], Jack & I have been making frequent stops at the swings on our morning walks. Can I count pushing him in the swing as my arm workout? I do. 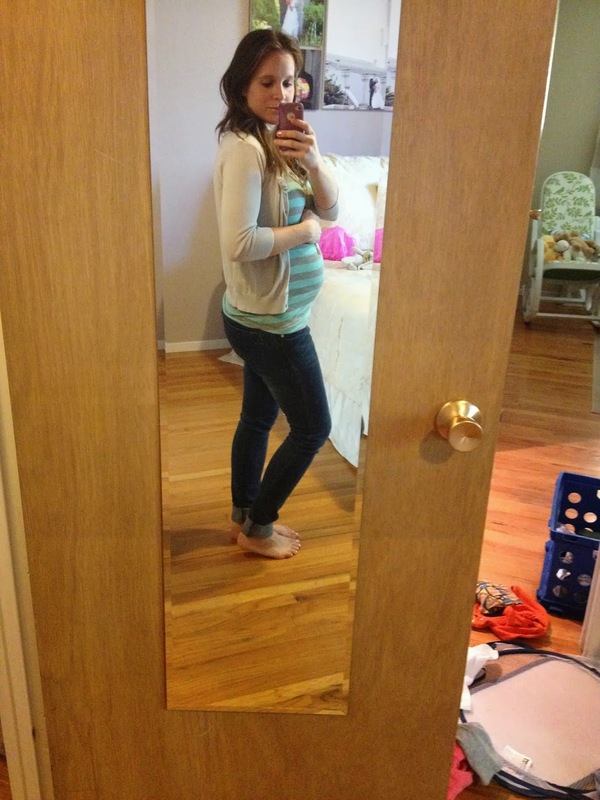 -I had my first Braxton Hicks contraction. No pain but my tummy was hard as a rock when I woke up one morning this week. -I thought I'd attempt to run to the park and back for our morning exercise. It's only a half mile each way and we planned to stop at the swings so I'd have a break after the first half mile. HA. I barely made it the first half mile. My legs were so crampy and I immediately felt my sides pulling from the weight of my belly. We ended up walking home...boo. And the rest of the day the side ligaments supporting my belly felt tight and sore. Double boo. I did end up walking a total of 3.5 miles that day AND rode the exercise bike for 20 minutes. -Baby had hiccups for the first time [that I felt]...and then several times after that.